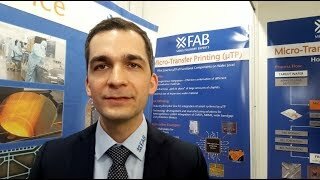 FRAM could enable better wearable medical devices ..
5G infrastructure needs programmability ..
Sourcing flexible sensors for varying automation demands ..
20 analog, MEMS and sensor startups to follow this year ..
Consumers need a trustworthy 'secured label’ ..
Ray tracing ripe for embedded devices ..
Robotic revolution: why now? A hardware perspective .. Designing ICs with transistors: we're only at the beginning, says Mentor's CEO .. Processing power in autonomous vehicles ..
Getting started with Embedded Linux ..
Electronic design automation gets pay-to-use tools ..
NXP Semiconductors' small world of machine learning .. Single blockchain ecosystem removes carrier threats .. Arm beefs up security for Cortex-M35P ..
China taking Imagination opportunity seriously .. The current state of play for autonomous vehicles ..
New tranche of opportunities opening up in the automotive market ..